We are excited to announce the rebirth of the JWA Big Band! 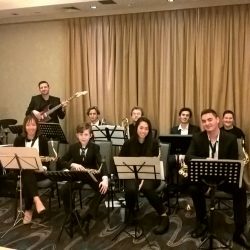 To complement the Sydney Youth Jazz Orchestra, an outstanding big band for school students, we are re-introducing a large ensemble for advanced school leavers and adults. Many young players get to a high level by the end of their school years. This gives them an opportunity not just to keep playing in a great band, but to continue learning and advancing too. What will it be and who is it for? The JWA Big Band will, in fact, be in a “little big band” format. That means reduced instrumentation for a tighter, more nimble, more flexible, more interactive band. It is for advanced musicians who have reached a high level of proficiency playing their instrument, sight reading, and as jazz improvisers. For those who haven’t reached that level yet, our combos provide that training. 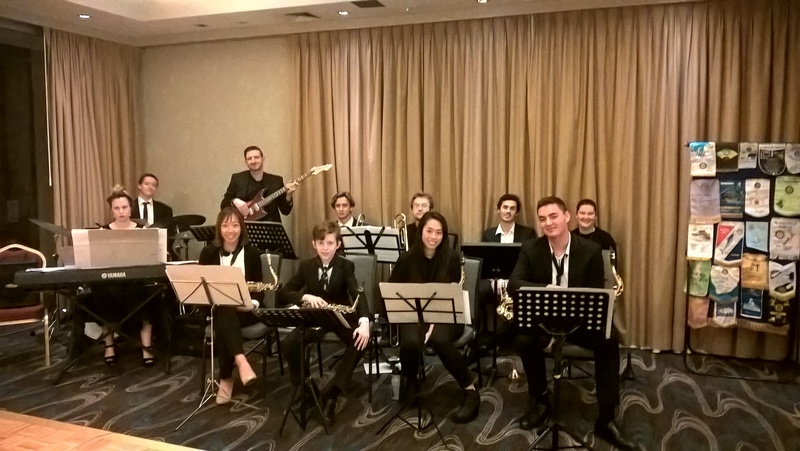 The JWA Big Band is only for musicians who have left school. There is no age restriction but members must be in control of their own day-to-day lives (hence, no school kids with parents to ‘ground’ them on a whim, etc). 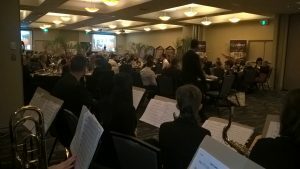 The JWA Big Band is not just a rehearsal band. Expect to perform. The band will include alto, tenor, and bari sax; trumpet; trombone; piano and/or guitar; bass; drums. Sax/woodwind doublers are welcome. Woodwind-only and other non-standard players … ask, and we can see, but you’ll have to be very convincing. We have lots of other groups you can join. Yes, it will. Contact us for details. Please contact Saul Richardson at JWA via email or the website contact form.